More from my collection. Photographers unknown. 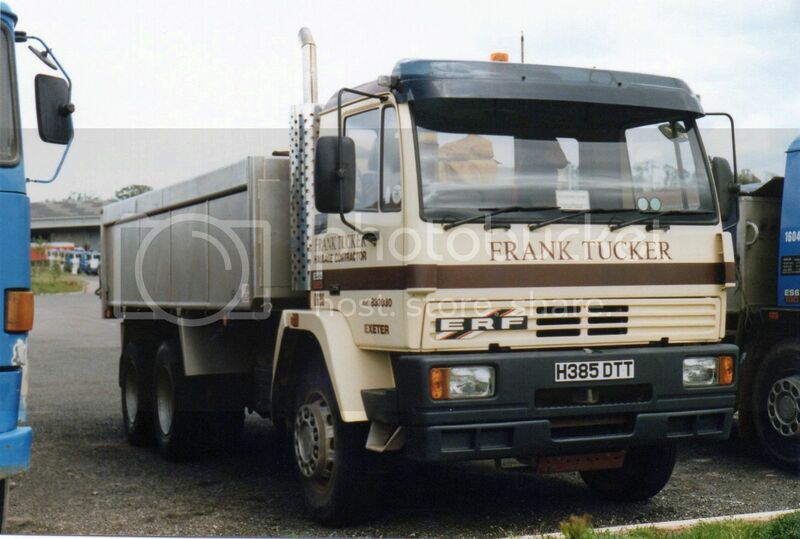 ERF ES8 with 265hp looks to be a fine 3 axle tipper, but unfortunately we never saw this model in NZ. Likewise the 4x2 ES6 with 210hp. 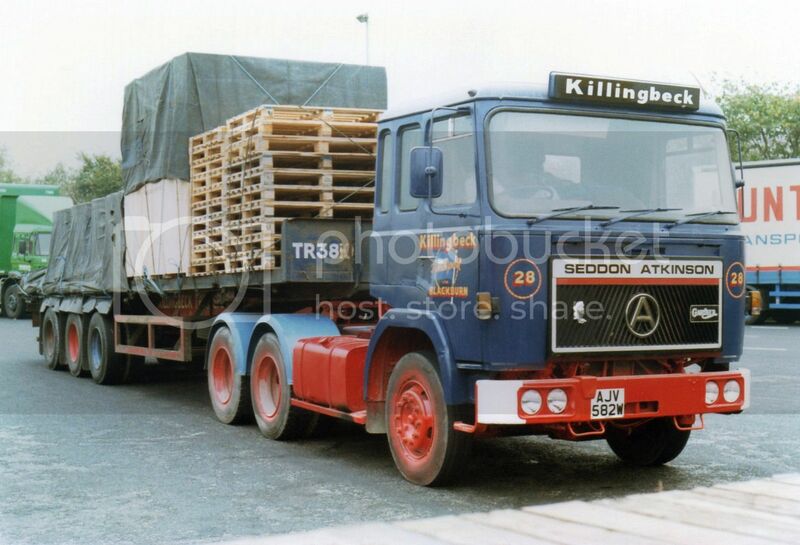 Killingbecks of Blackburn were avid users of trucks with the big"A" on the grille. This grille also carries a Gardner badge and a silver knight badge from an Atkinson of an earlier era. 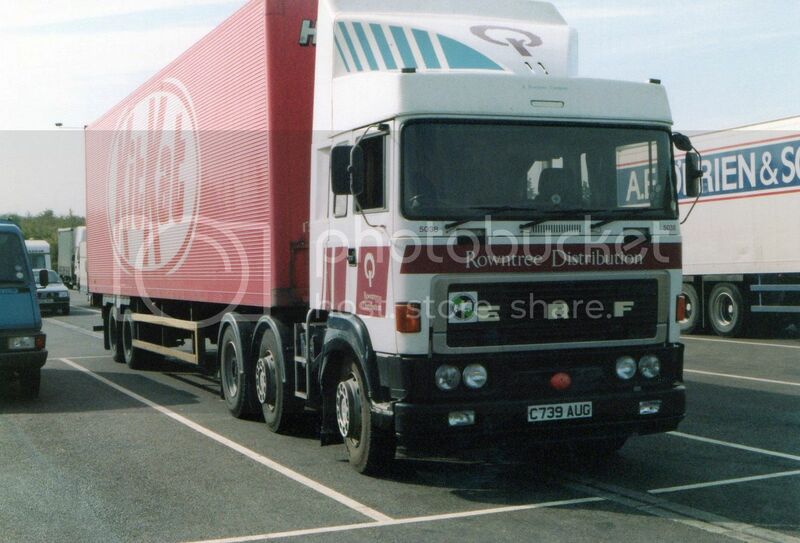 ERF E series of Fernwood Transport from Watnall in Nottingham, Nottinghamshire. 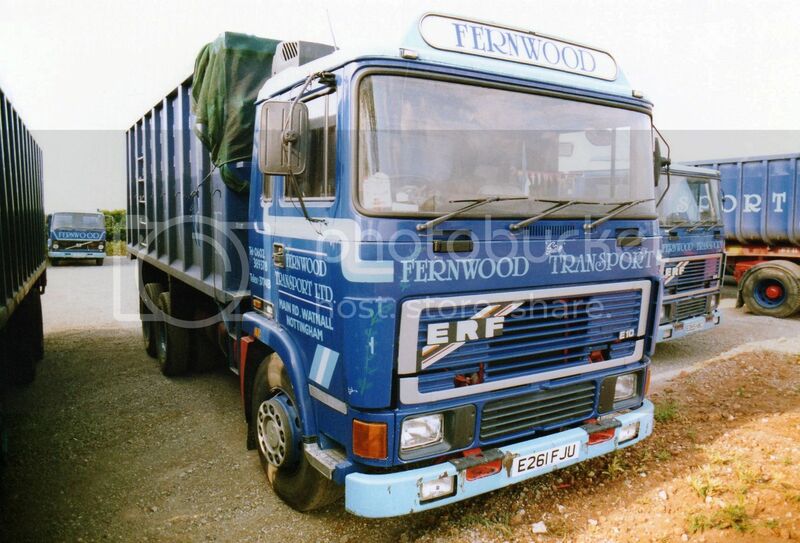 Fernwood was established in 1983 and as well as bulk haulage they also have a division supplying pre-packed coal and another division specializing in road maintenance. 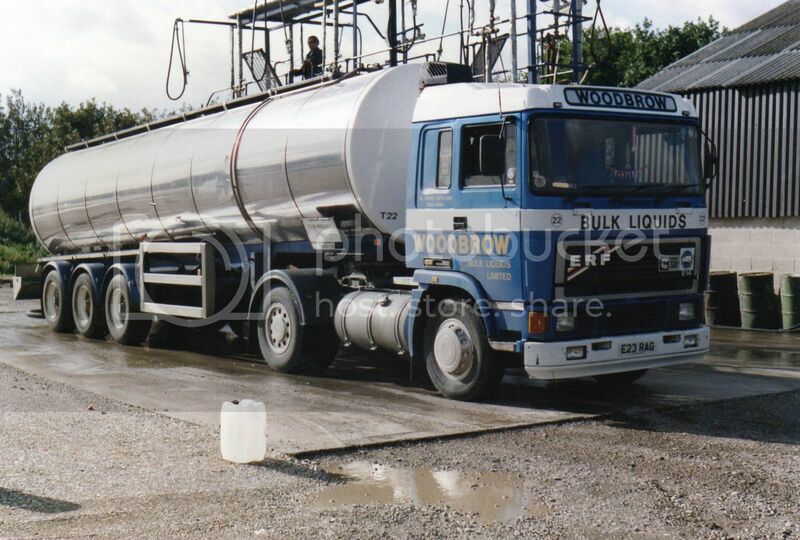 E14 ERF of Woodbrow Bulk Liquids. 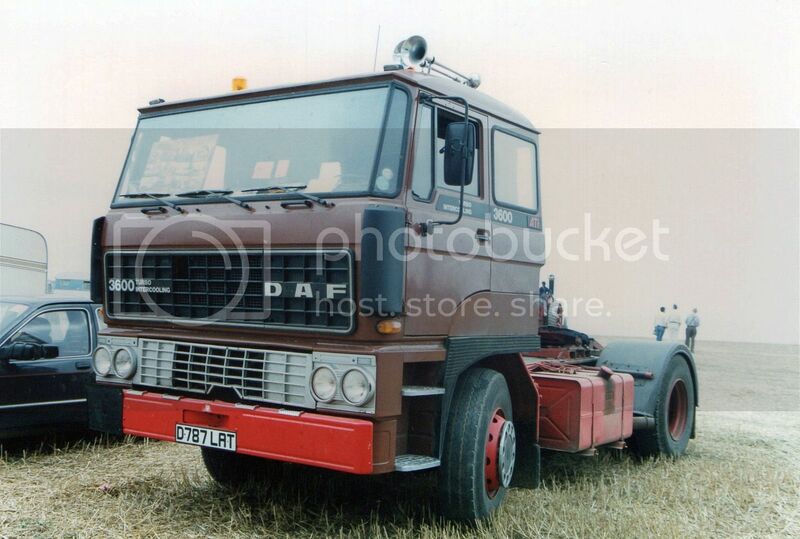 6x6 S24 Scammell doing what Scammells do best. 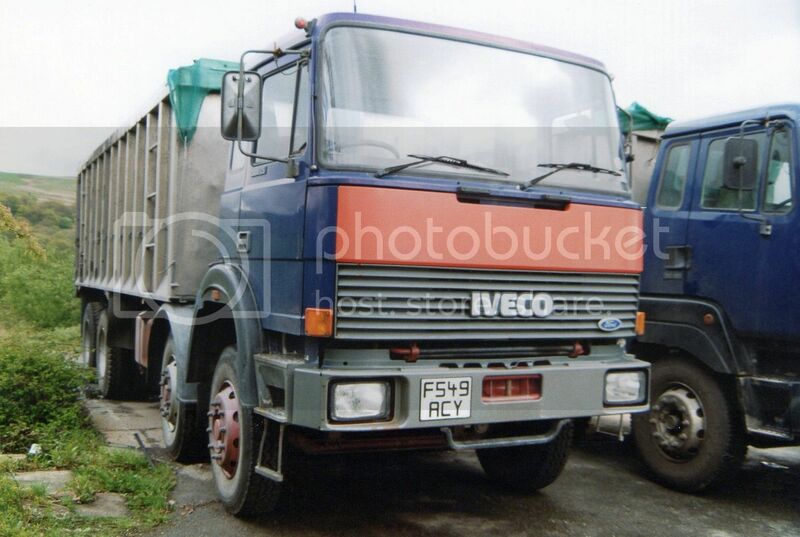 IVECO Ford 30-25. Although this cab was used on NZ models with both IVECO and Fiat badges, I don't recall seeing many configured as 8 wheelers. 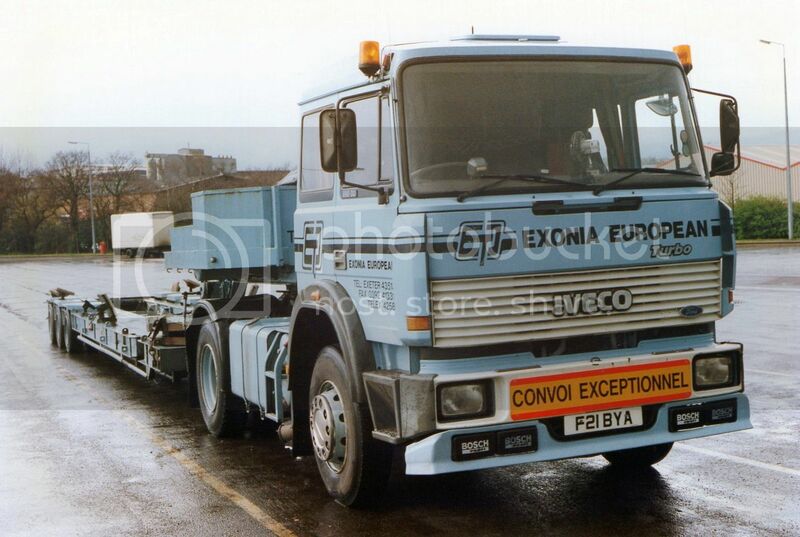 Exonia European from Exeter is the operator of this IVECO 190-30. 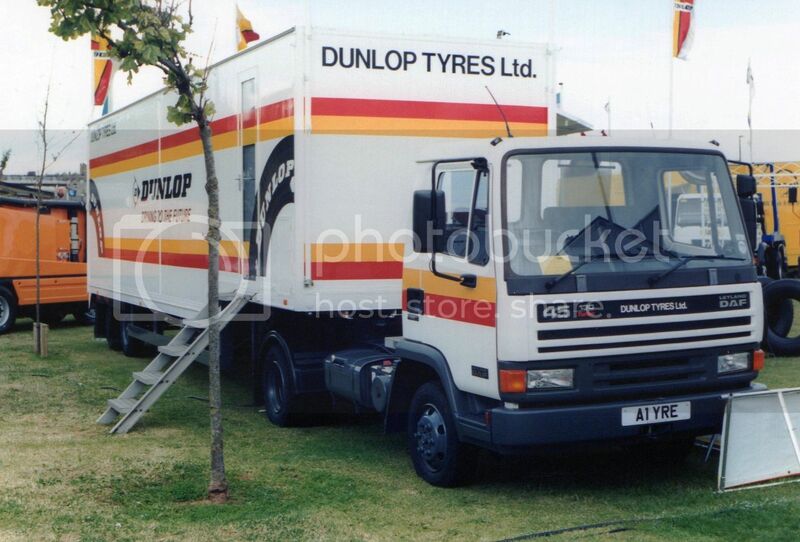 Smart little artic on a Leyland-DAF chassis. Kit-Kats are known internationally. Rowntrees had their own trucks for distribution. Rowntre/Mackintosh is now part of Nestle. 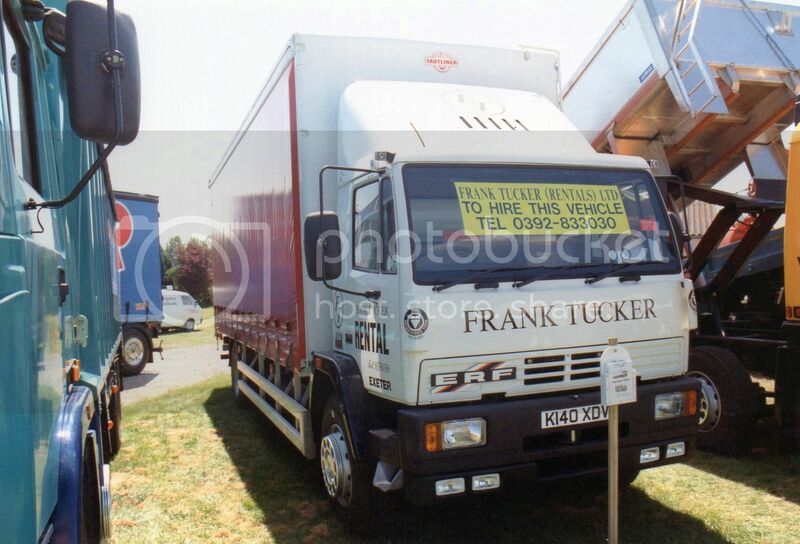 The high mounted cab of the DAF 3600 (or similar 3300) was the first models of DAF we saw in NZ, but usually in tandem drive of course. 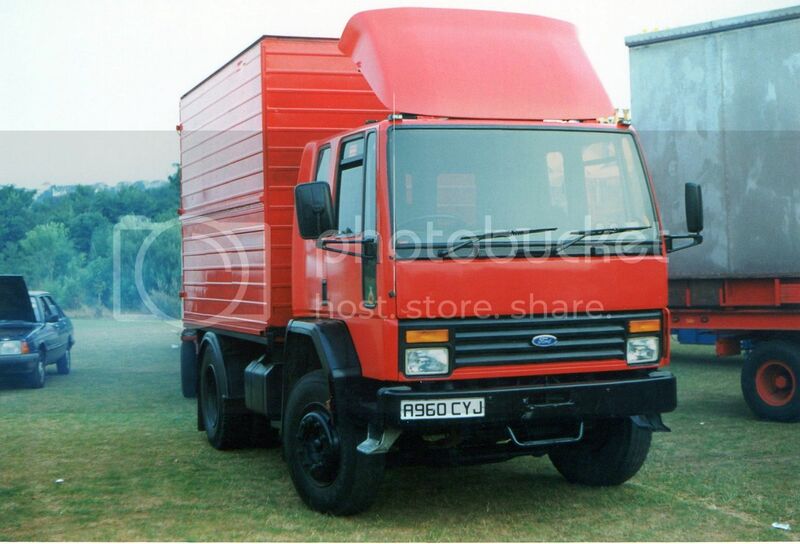 This Ford Cargo appears to be running as a ballasted tractor. 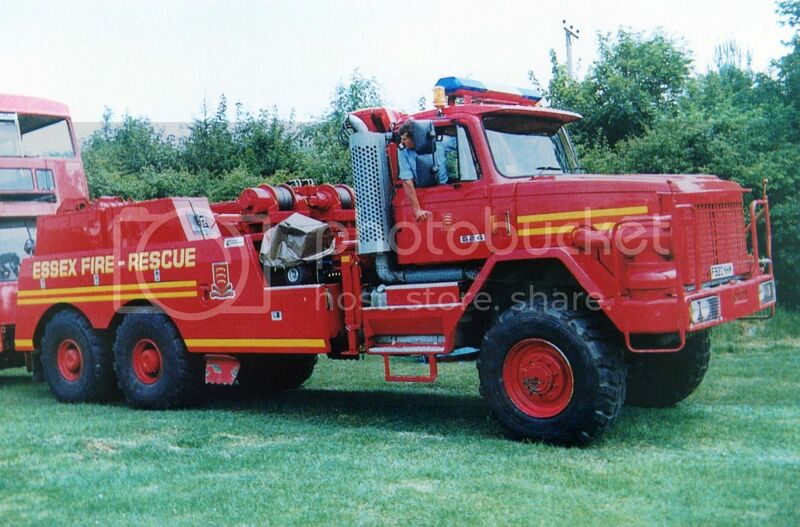 As this photo was among fairground vehicle photos, I am guessing that this is also a fairground/circus vehicle and the ballast probably provided by a large generator.